The New York Liberty are a professional basketball team based in New York City, New York, playing in the Eastern Conference in the Women's National Basketball Association (WNBA). The team was one of the eight original franchises of the league. 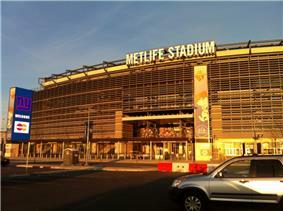 The team is owned by Madison Square Garden, who also owns the Liberty's NBA counterpart, the New York Knicks. The Liberty have qualified for the WNBA Playoffs in thirteen of its nineteen years in New York. The franchise has been home to many well-known players such as guard Teresa Weatherspoon, Becky Hammon, University of Utah player Leilani Mitchell, and Rutgers players Essence Carson and Cappie Pondexter. In 1997, 1999, 2000, and 2002, the Liberty went to the WNBA Finals but fell short the first three attempts to Houston and in 2002 to Los Angeles. They have the most appearances in the WNBA Finals without a championship. Prior to the team's first season, to avoid potential trademark infringement, the team purchased the trademarks of the defunct Liberty Basketball Association. The adage "always the bridesmaid, never the bride," could be used to describe the Liberty. 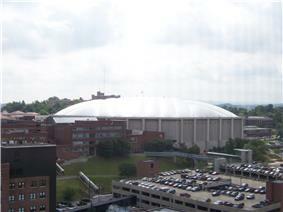 When the WNBA opened in 1997, the Liberty was one of the first teams to choose a player, and they signed college superstar Rebecca Lobo (University of Connecticut) to a contract. Lobo was a starter for two seasons but was injured in 1999, and her injuries eventually led to her retirement several seasons later. Point guard Teresa Weatherspoon emerged as a star and the Liberty made it to the 1997 championship game, where the team lost to the Houston Comets. In 1999, they added Crystal Robinson with the 6th overall pick and returned to the WNBA Finals, where they again faced Comets. In Game 2, Teresa Weatherspoon's halfcourt shot at the buzzer gave the Liberty a one-point road win that tied the series. However, the Liberty lost the third game of the series and the Comets became champions for a third straight time. In 2000, the Liberty traded for Tari Phillips who blossomed in New York makinge four straight all-star teams. In 2001, Weatherspoon became the WNBA's all-time assist leader. Teamed with Robinson, Phillips and an emerging Sue Wicks, once a back-up to Lobo at forward who made the 2000 All-Star game, Weatherspoon and the Liberty subsequently returned to the finals in 2000 and 2002, but lost once again to the Comets and to the Los Angeles Sparks, respectively and advanced to the WNBA Eastern Conference Finals in 2001. 1998, 2003, 2006, 2009, 2013, and recently 2014 were the only years the Liberty failed to make the playoffs. Madison Square Garden during a Liberty game. 2003 marked a transition for the Liberty, with team leader Teresa Weatherspoon's WNBA career winding down, fan favorite Becky Hammon emerged as a star player. The 2004 season saw Hammon replacing Weatherspoon at the team's starting point guard spot. 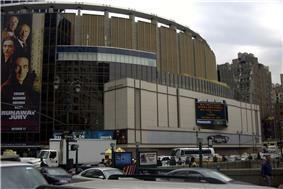 Six games during the 2004 season were moved to Radio City Music Hall as Madison Square Garden was hosting the 2004 Republican National Convention. These games marked the first time Radio City had hosted a professional sporting event since the Roy Jones Jr. boxing match held in 1999. With team leader Tari Phillips being signed to the Houston Comets, Ann Wauters emerged as a force at the team's starting center position in 2005. However, she was injured midway through the season. The loss of Wauters was felt as the team was swept two games to none by the Indiana Fever in the first round of the playoffs. 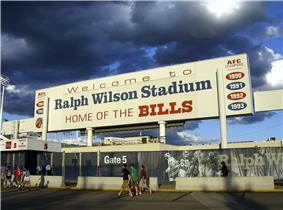 The Liberty saw a poor 2006 season, winning only 11 games, the fewest in franchise history. At the beginning of the 2007 WNBA season, the team traded Becky Hammon to the San Antonio Silver Stars for Jessica Davenport, a first round pick in the 2007 WNBA Draft. They also acquired center Janel McCarville through the dispersal draft associated with the dissolution of the Charlotte Sting. The 2007 Liberty started out 5–0, then lost 7 straight games, then rallied at the end of the season to get the last playoff spot by winning 3 out of their last 4 games, beating the Washington Mystics on the tiebreaker of head-to-head record. In the Eastern Conference semifinals, the Liberty, as huge underdogs, faced the defending champion Detroit Shock in a best-of-three series. The Liberty defeated the Shock by winning Game 1 in New York. In Games 2 and 3 the Liberty lost both games to the Shock in Detroit, 76–73 and 71–70 (OT) respectively. In 2008, the Liberty drafted former Rutgers shooting guard Essence Carson and former University of North Carolina at Chapel Hill forward Erlana Larkins, and signed former University of Utah point guard Leilani Mitchell during the preseason. 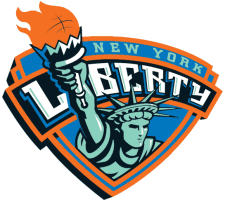 Although they had the youngest average age of any WNBA team, the Liberty managed to win 19 regular season games in 2008, to defeat the Connecticut Sun in the first round of playoff action, and to come within two points of defeating the Detroit Shock in the third and last game of the Eastern Conference Finals. Again, the Detroit series entailed a Liberty victory at home in Game 1, followed by narrow defeats away in Games 2 and 3. The 2008 season also featured the "Liberty Outdoor Classic", the first ever professional regular season basketball game to be played outdoors, on July 19 at Arthur Ashe Stadium of the USTA Billie Jean King National Tennis Center. The Indiana Fever defeated the Liberty in the Outdoor Classic. In the 2009 WNBA Draft, the Liberty selected local favorite Kia Vaughn from Rutgers. With a solid core group, the Liberty looked to be a contender in the East yet again. In the 2009 season, however, they never proved to be a contender. During 2009, the team fired head coach Pat Coyle, which led to the hiring of then-Liberty assistant coach Anne Donovan to take the interim tag. Even with her coaching New York, the franchise continued to struggle, finishing 13–21, their second worst record in franchise history. The New York Liberty fared better in 2010, during Donovan's first and only full season as head coach. Led by newly signed high scorer Cappie Pondexter (formerly of the Phoenix Mercury) and the 2010 Most Improved Player Award winner Leilani Mitchell, the team made it all the way to the Eastern Conference Finals, where they lost to the Atlanta Dream. The team had high hopes for 2011, after the hiring of former WNBA champion head coach John Whisenant. Janel McCarville did not report to training camp, seeking time with her family. As such, she was suspended for the duration of the 2011 season. This caused division and discord within the New York Liberty fanbase. Kia Vaughn was unexpectedly thrust into the role of starting Center. 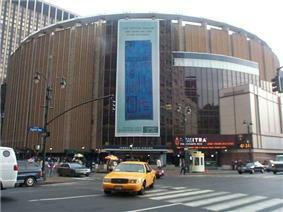 The Liberty were originally scheduled to be displaced from their usual home court due to renovations at Madison Square Garden beginning in 2009. 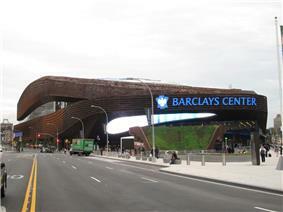 The renovation plans were delayed, and the Liberty played at the Garden in 2009 and 2010. While the renovation had been rescheduled, the Liberty ended up playing in the Prudential Center in Newark, New Jersey for their 2011, 2012, and 2013 seasons. Pondexter and Plenette Pierson, along with improved play from Vaughn, allowed New York to be competitive early in the season. The team went into the All-Star break in third place in the Eastern Conference. In August, Sidney Spencer was traded to the Phoenix Mercury in exchange for Kara Braxton. By maintaining a fairly even standard of play, The Liberty made their way into the WNBA Playoffs. However, the Liberty fell to the Indiana Fever in the Eastern Conference Semifinals. 1997–2002: white with a black line above the shoulders at home, black with a green line on the road. 2003–2010: white with teal, blue and orange trim and "Liberty" on the chest in light blue letters at home. Primary color is blue on the road with "New York" on the chest in white letters. The Liberty logo is on the left leg of the shorts. 2010: On June 2, 2010, the New York Liberty and Foxwoods Resort Casino announced a premier partnership that includes a branded jersey sponsorship. As part of the partnership, the Foxwoods name will appear in front of the Liberty jerseys. 2011–2012: As part of the transition to Adidas' Revolution 30 technology, the Liberty unveiled new jerseys. Home jerseys are white with seafoam green numbers and blue trim. Road uniforms are blue with seafoam green numbers and white trim. The Foxwoods logo and name will remain on the jerseys. 2013: The Foxwoods sponsorship expires, thus the team name on home jerseys and city name on away jerseys return. Number and name font was modified. 2014: Black returns as the primary color, relegating blue to trim status. 2015–present: DraftKings takes over as jersey sponsor. Madison Square Garden is home to the Liberty since 1997, except for the 2011, 2012 and 2013 seasons due to summer renovations. 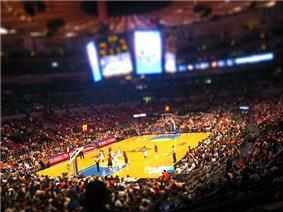 A sellout for a basketball game at Madison Square Garden (1997–2010, 2014–future) is 19,563. A sellout for a basketball game at Prudential Center (2011–2013) is 18,711. December 15, 1999: The Liberty acquired Michele Van Gorp from the Portland Fire in exchange for Portland agreeing to select Sophia Witherspoon and Coquese Washington in the expansion draft. May 28, 2000: The Liberty traded Carolyn Jones-Young to the Portland Fire in exchange for Tari Phillips. February 24, 2006: The Liberty traded the 9th overall pick in the 2006 Draft to the Indiana Fever in exchange for Kelly Schumacher and the 12th overall pick in the 2006 Draft. April 4, 2007: The Liberty traded Becky Hammon and a second-round pick in the 2008 Draft to the San Antonio Silver Stars in exchange for draft rights to Jessica Davenport and a first-round pick in the 2008 Draft. June 20, 2007: The Liberty traded Sherill Baker to the Los Angeles Sparks in exchange for Lisa Willis. May 7, 2008: The Liberty traded a third-round pick in the 2009 Draft to the Phoenix Mercury in exchange for Leiliani Mitchell. May 5, 2009: The Liberty traded a first-round pick in the 2010 Draft to the Los Angeles Sparks in exchange for Sidney Spencer. March 30, 2010: The Liberty traded Shameka Christon and Cathrine Kraayeveld to the Chicago Sky in exchange for a second-round pick in the 2010 Draft and Cappie Pondexter and Kelly Mazzante from the Phoenix Mercury. Phoenix received Candice Dupree from Chicago as part of this trade. April 11, 2011: The Liberty traded Angel Robinson to the Minnesota Lynx in exchange for Jessica Breland and a second-round pick in the 2012 Draft. April 11, 2011: The Liberty traded Kalana Greene to the Connecticut Sun in exchange for Sydney Colson. May 27, 2011: The Liberty acquired Quanitra Hollingsworth from the Minnesota Lynx in exchange for the right to swap third-round picks in the 2012 Draft. August 4, 2011: The Liberty traded Sidney Spencer to the Phoenix Mercury in exchange for Kara Braxton. February 27, 2013: The Liberty traded Kia Vaughn to the Washington Mystics in exchange for a second-round pick in the 2013 Draft. March 1, 2013: The Liberty traded Janel McCarville to the Minnesota Lynx and Nicole Powell plus a third-round pick in the 2013 Draft to the Tulsa Shock. In exchange, the Liberty received Deanna Nolan, a second-round pick in the 2013 Draft, and a third-round pick in the 2013 Draft. April 15, 2013: The Liberty traded Quanitra Hollingsworth to the Washington Mystics in exchange for the 25th overall pick in the 2013 Draft. April 14, 2014: The Liberty traded Kelsey Bone, Alyssa Thomas, and a first-round pick in the 2015 Draft to the Connecticut Sun in exchange for Tina Charles. July 9, 2014: The Liberty traded DeLisha Milton-Jones to the Atlanta Dream in exchange for Swin Cash. February 16, 2015: The Liberty traded Cappie Pondexter to the Chicago Sky in exchange for Epiphanny Prince. April 16, 2015: The Liberty traded Alex Montgomery to the San Antonio Stars in exchange for the 9th overall pick in the 2015 Draft. The Liberty also traded Anna Cruz and 16th and 35th overall pick to the Minnesota Lynx in exchange for the 11th, 23rd and 28th overall pick in the 2015 Draft. Currently, some Liberty games are broadcast on the MSG Network (MSG), which is a local television station for the area of New York City. More often than not, NBA TV will pick up the feed from the local broadcast, which is shown nationally. Broadcasters for the Liberty games are Mike Crispino, Rosalyn Gold-Onwude and Kym Hampton. All games (excluding blackout games, which are available on ESPN3.com) are broadcast to the WNBA LiveAccess game feeds on the league website. 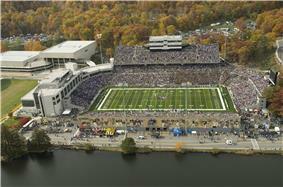 Furthermore, some Liberty games are broadcast nationally on ESPN, ESPN2 and ABC. The WNBA has reached an eight-year agreement with ESPN, which will pay right fees to the Liberty, as well as other teams in the league. ^ Lena Williams (25 July 2004). "PRO BASKETBALL; Liberty Opens Big on Its Home, Er, Stage". New York Times. Retrieved 10 November 2011. ^ "WNBA Extends TV Rights Deal with ESPN and ABC". Sports Business. June 18, 2007. Retrieved 2009-08-04.